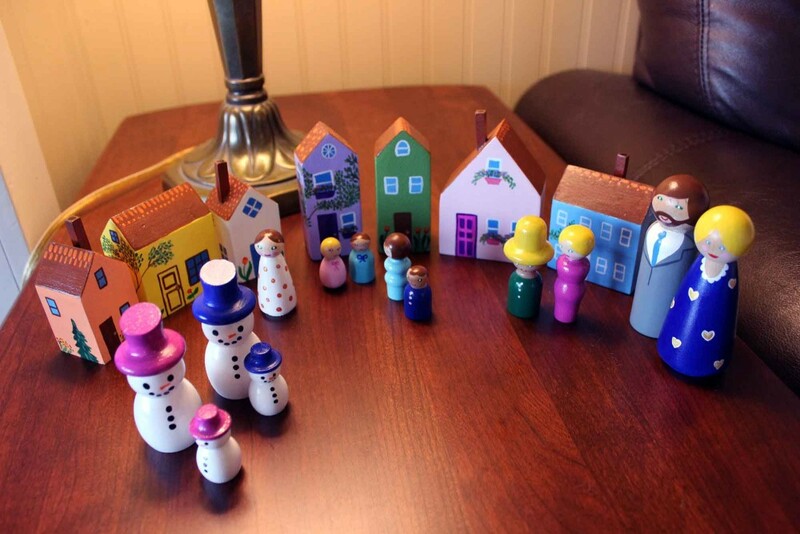 I always wanted to do a proper advent calendar with my daughter and this year I finally got around to making one. I bought a plain papier mâché box with twenty-five drawers and decorated it with collage, acrylic paint and some stickers. 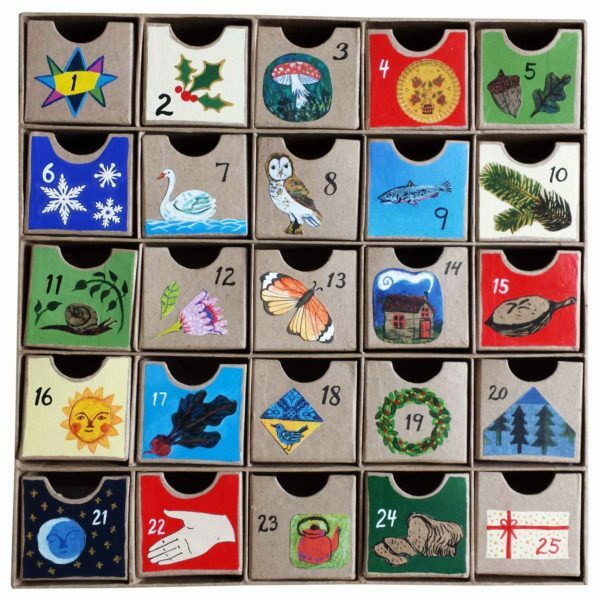 I was going for a rustic, nostalgic, and nature themed advent calendar. I used a lot of Phoebe Wahl illustrations from Taproot Magazine. My daughter loves it and goes to it first thing in the morning to get her piece of chocolate. Today, I finished my first semester of nursing school. I have been working tirelessly since the beginning of September. I only painted one time during the whole semester and I felt guilty about taking the time away from my studies. I am so looking forward to making some art over the next three weeks! This year I tried out making some small gifts for my daughter and nieces. I am still learning to sew but the kids do not care about the imperfections. Next year I think I will make gifts as well, but I am going to start working on them much earlier to leave myself more time. 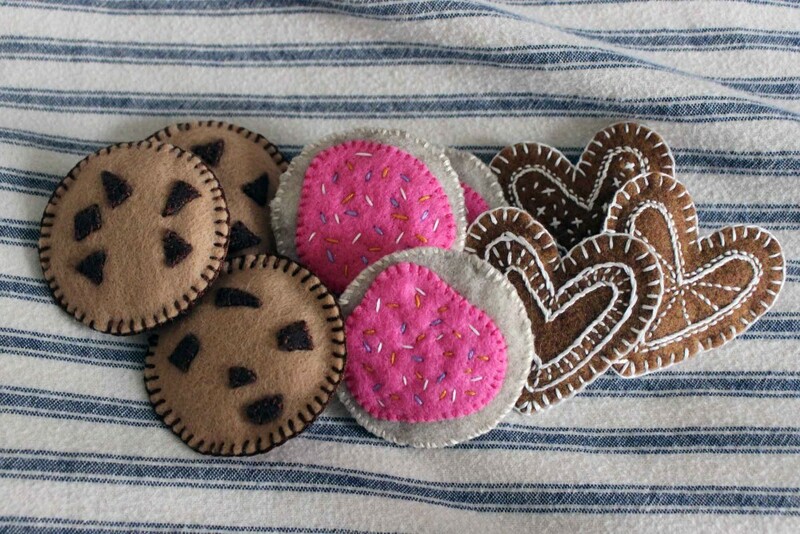 Felt chocolate chip cookies, iced sugar cookies with sprinkles, and iced gingerbread heart cookies. 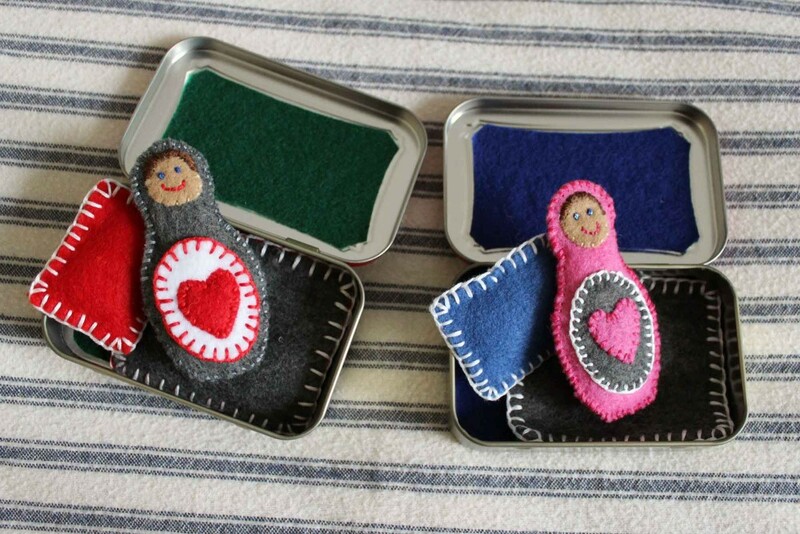 Felt matryoshka dolls in Altoids tin “bed” with a pillow and blanket. 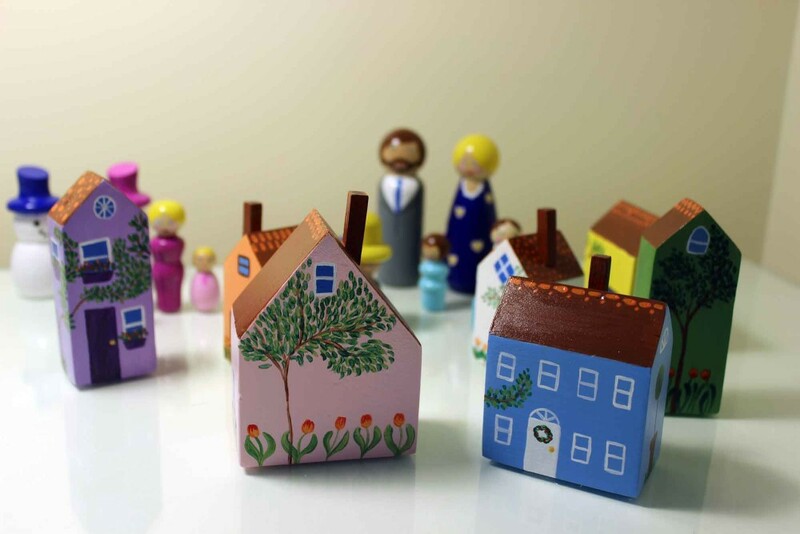 Painted wooden houses with peg dolls. 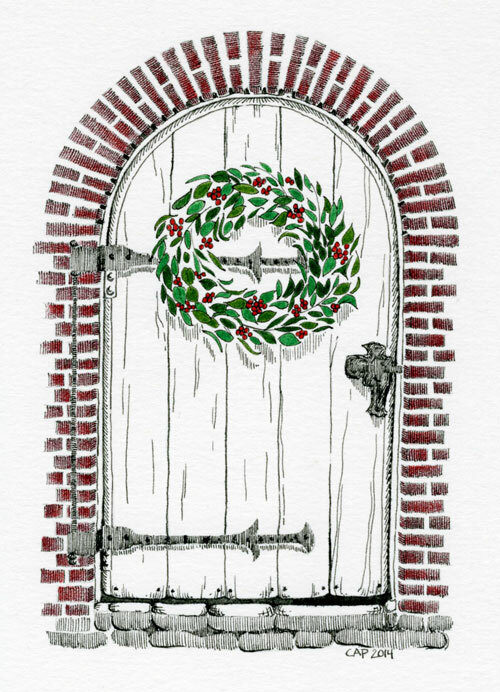 Carolyn A Pappas, Festive Old Door. Ink and colored pencil, apx. 7 x 5 inches. I would like to wish everyone a lovely and stress-free Christmas. I am having a wonderful time with my family this year, and my daughter, who is 3, is so much fun at her age. I did not buy her too many toys, but instead only a few nice ones. This drawing is what I used for my Christmas card this year, based on this Creative Commons licensed photograph. Because I used this photo for a reference, I will release my drawing under the same license for other people to use as they would like. Feel free to download the high resolution version on flickr. I used a dip pen and colored pencil and it has a whimsical feel that I enjoy. When I was working on this drawing, I was reminded of an assignment I had in a pen and ink class I took once, to draw a doorway. Breaking out the dip pens was also a rewarding experience, and I was reminded of all the advantages of the dip pen, mainly the variation that is possible in line width. Drawing with a dip pen is also a slower process for me, and I find it more relaxing. Painted Christmas Tree Ornaments, acrylic paint and oil based Sharpie paint pens on wood. My latest project has been some hand painted Christmas tree ornaments, finished just in time to hang on my tree. I worked on them slowly over the last few weekends and after work hours, taking me far longer to complete than I thought they would. It was a pleasant experience as it got me into the Christmas spirit and I am happy with the results. 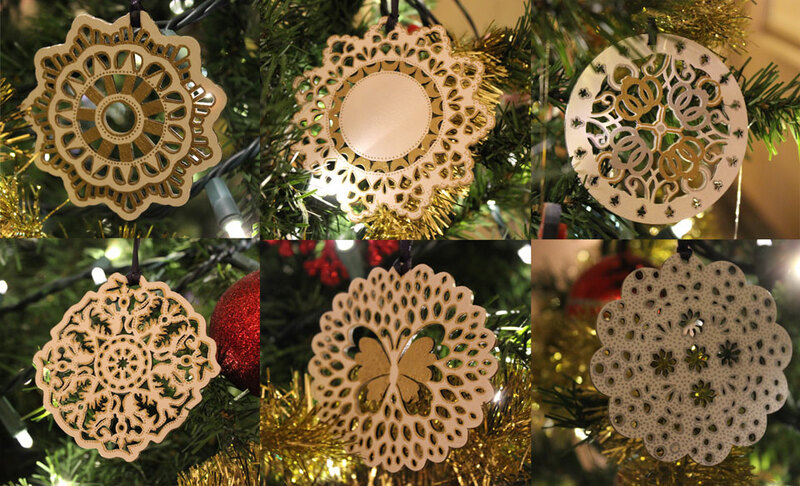 These were also cheap to make, as the laser cut wooden pieces cost about $1 each at Michael’s and I already had the gold and silver Sharpie paint pens on hand from an earlier project.